1. 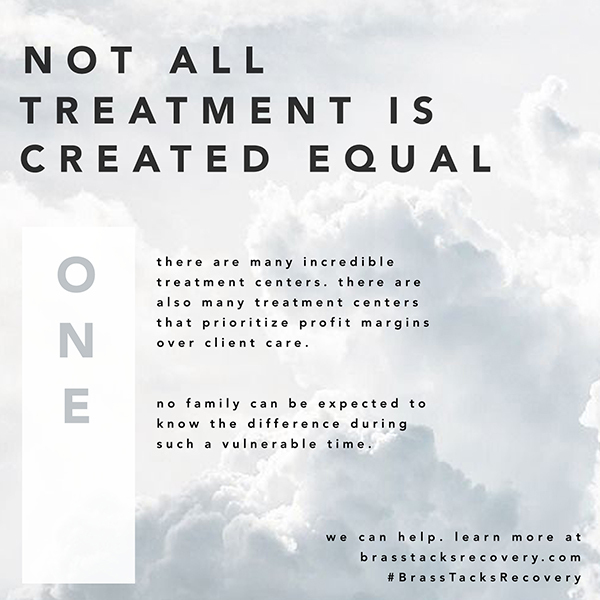 Not all treatment is created equal. 2. It is not uncommon. 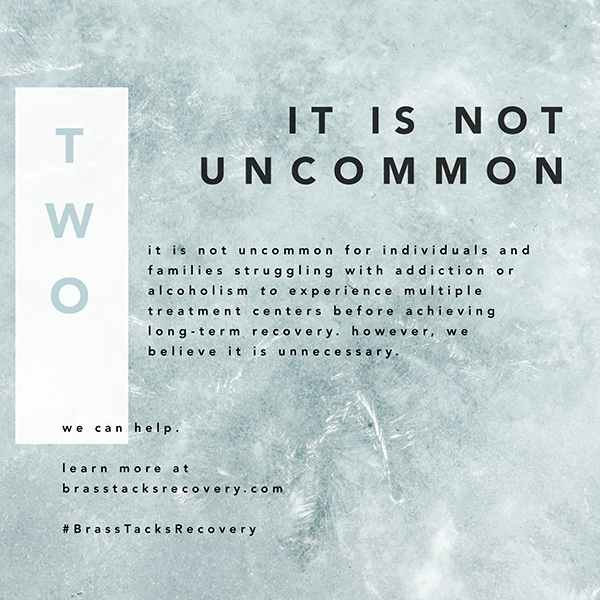 It is not uncommon for individuals and families struggling with addiction or alcoholism to experience multiple treatment centers before achieving long-term recovery. However, we believe it is unnecessary. 3. You are not alone. A family seeking help is likely to be emotionally vulnerable and may be financially compromised. During this emotional time, we help families identify the most effective course of treatment with the most appropriate and ethical organizations. 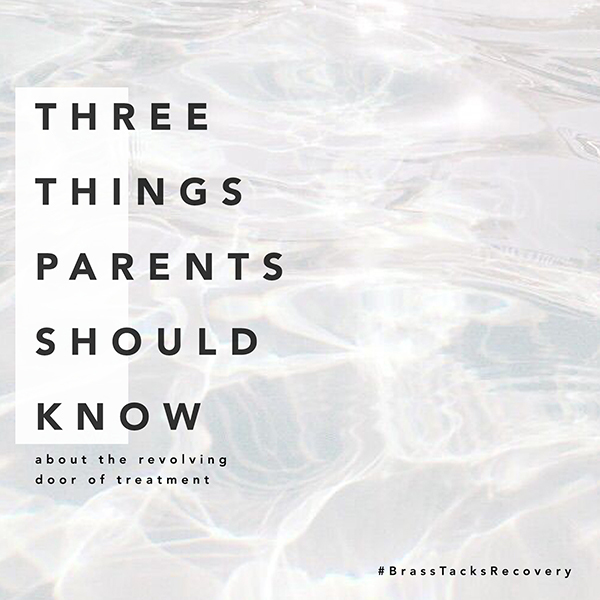 We help families take the necessary steps to achieve a full recovery for all involved. 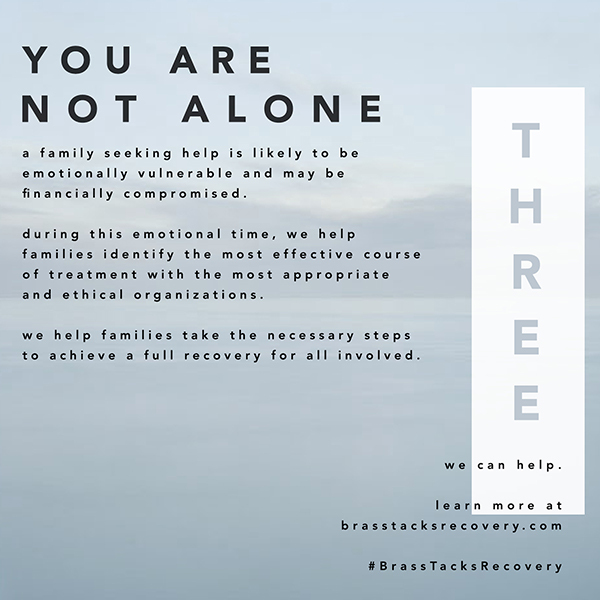 Brass Tacks Recovery can help your family avoid the revolving door of treatment and achieve long-term recovery. Please call (888) 277-8225.